You would think it is unusual that a country with a population of 348,580 had managed to become one of the most important on the people in terms of cryptocurrency mining. Today we will talk about Iceland, why it had become one of the best places for mining farms and some possible scenario for the future. Why is cryptocurrency mining easy in Iceland? 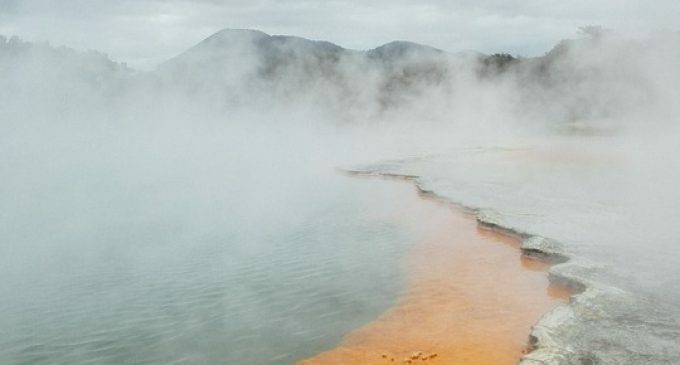 Iceland is a country rich in geothermal resources and boasts a number of geothermal power plants that use the steam from naturally super-hot geothermal water in order to power turbines, which creates cheap energy, according to bbc.com. The second reason why Iceland had become the home for some of the biggest mining farms on the planet is its relatively cool climate. This means there’s no need for cooling equipment because one can regulate the internal heat by using the cold from the outside. Due to its relatively small number of people, Iceland will become the first country on Earth to use more electricity for mining cryptocurrencies than on its households. According to the energy company HS Orka, by the end of 2018 cryptocurrency mining will double its energy use and reach 100 megawatts. Despite the drop in the cryptocurrency prices we have seen in 2018, there is still interest to open new centers in Iceland, since the costs are relatively low. Genesis Mining is by far one of the most popular Bitcoin mining farms on the planet. It is also selling its hashing power for customers willing to invest in their company. BitClub Network is another example, with operations in Reykjavik. As you can see, Bitcoin mining is trending is Iceland despite the price movements. Even though the Bitcoin price had been under pressure in 2018, cheap energy and simple cooling methods for mining farms make Bitcoin mining still attractive, companies being able to cover their expenses, despite the 6,700 price we are currently seeing. Despite the current regulatory saga, mining farms from Iceland are expected to continue to do well. Since the SEC had claimed that Bitcoin and Ethereum are not securities we could see them performing well compared to the other tokens. Iceland continues to be an attractive place for mining businesses and should continue to do so due to its favorable natural conditions. Risks are reduced and this keeps the cryptocurrency mining operations running as usual despite the drop in cryptocurrencies value.